The thing that makes A Taste of African Heritage such a joy and success is its students. We have been very happy to catch up with some of our graduates to learn about how the program has impacted their eating and their health. We’re excited to share their stories with you! Faith Trotter is a single young mother, a veteran, getting her degree in Supply Chain & Logistics at the University of Houston. To help get through school, Faith substitute teaches at her local middle and high schools during the week, and she is an active military reservist, on duty one weekend a month. With a busy schedule, always on the run, Faith said it was always challenging keeping healthy foods available for herself and her 4-year old daughter Cami. Not anymore. Wanting to learn more about healthy eating, Faith became a student in her local A Taste of African Heritage nutritional cooking class series, led by one of our Houston instructors, Stacy Morrow. Since then, healthy eating has never been easier (or tastier) for her and her daughter. We got the chance to talk with Faith about what she and Cami are eating these days and how their habits have changed since taking the program. Now approaching her 50th birthday, Lynette shares that cooking has never been a big part of her life. This was one of the reasons Lynette signed up for the A Taste of African Heritage (ATOAH) cooking class program being oﬀered at Forest Park apartments where she lives. 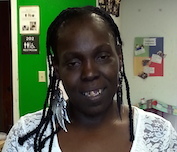 “I was deﬁnitely not a cook!”, said Lynette, before joining the program this summer. Another motivation was health. “My mom and both grandparents had diabetes and high blood pressure. I saw that diabetes can lead to other serious issues like blindness, and it made me think twice, knowing that I need to take care of myself and eat better, so that I won’t go down that same road”, shared Lynette. Lynette says the Taste of African Heritage program has helped her by simplifying cooking, showing her how to keep cooking low-maintenance – fast, easy, and fun. “I have limited time on my feet”, shares Lynette, who is HIV positive, “so I need to make my cooking time count. I’ve learned how to prepare meals in under 30 minutes and how to pack vegetables into every meal, whether it’s in pasta, meatloaf or a smoothie.” Lynette has enjoyed the program so much that she wrote a poem about the experience and shared it with her group. Lynette’s enthusiastic nature is contagious, and she now spreads the word about healthy eating and the Taste of African Heritage program with friends and neighbors, sharing tips and guidance. “I love sharing my achievements. Anyone who wants to listen, I want to share with!” She’s also sharing with her family – Lynette’s mother is a participant in the Taste of African Heritage program, and her husband is reaping the beneﬁts of Lynette’s new healthy lifestyle. “If I cook it, he’s eating it!” she joked. Since improving her eating habits, Lynette says she feels better in general—she gets around better, has had less colds than usual this year, and she’s sleeping better. She said that more people need to know about this way of eating, so that they can feel better too. 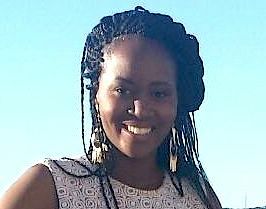 Lynette plans to bring African Heritage Diet literature to her HIV empowerment group, task force, and her local cancer research center as a start.